The followings is reposted from the Glove of Bones project page. Thank you for your attention to this matter. From the beginning of my swagger into music production of some sort or another the term ‘Drone’ has been in the room. A friend of mine, Mark Ward had started to make ambient music and through this I found the frighteningly good natured and creative community of diverse independent musicians through FaceBook groups, Sound Cloud and Bandcamp net labels. There are people out there making 8 hour compositions, terrifying field noise experiments, dreamy piano / synth / guitar pieces, industrial noise and experimental drone. 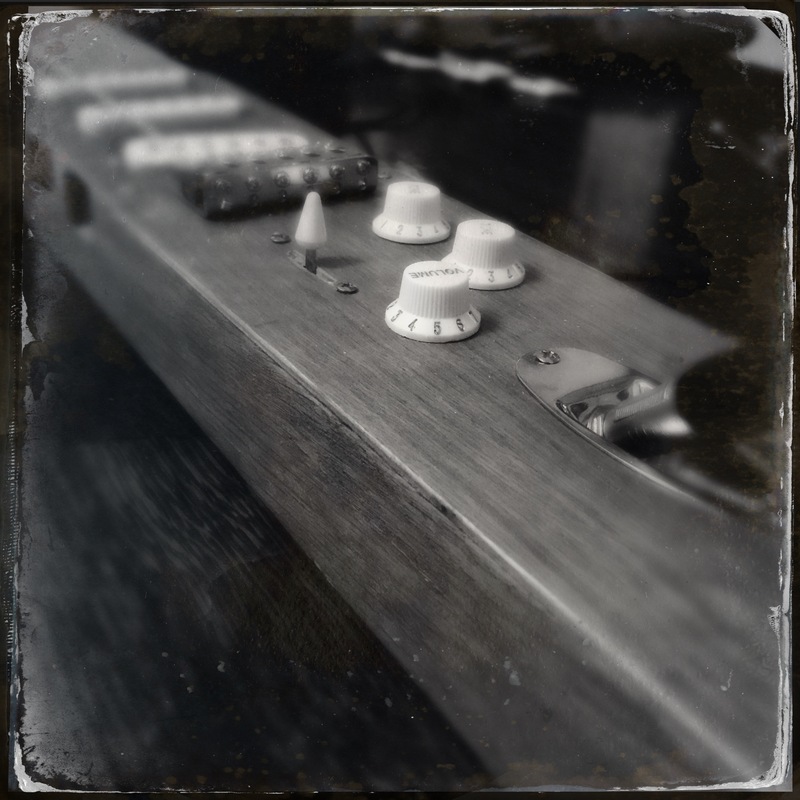 Drone (or protracted monophonic/harmonic sound) has occupied a place in music for millennia. From a wet finger circling a wine glass to bagpipes and the sitar, the hypnotic underpin of many musical forms is the drone element. In contemporary music artists like Sunn O))) and Steve Wilson (as Bass Communion) use sustained repetition and volume to affect an audience at a level other than just song structure & lyrical content. Following the modern trail back you get the Velvet Underground and Modern Classical composers like Terry Riley, Steve Reich & Phillip Glass. Further into the obscure there are artist from Dada, the Beats & Avante Garde using pure sound to impact their audience. In particular the link between a sound experiment and an artefact had resonance. The Long String Drone is discussed in this article and for some unknown reason the device struck a chord with me. Digging a little deeper the sound produced from these devices cemented the fascination. Add to that the incredible process & construction behind the work of Ellen Fullman and I was intent on having my own device. My approach to scale is somewhat limited by domestic circumstance and budget and overall you could say I’ve given an organ transplant to a guitar. I am, as always lead by a Voodoo notion of connection to materials, history and activity. The resulting artefact is almost exactly as I imagined with the added advantage of being functional. 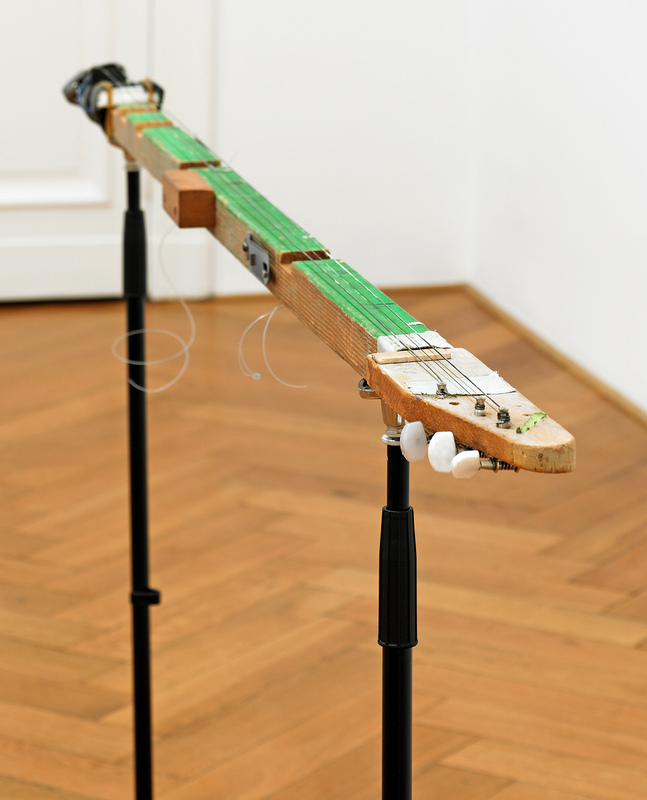 The intention was to build something with a physical presence that took it away from being a guitar, that it would be a functional electric device whose sound could be manipulated, that as an object it would have an ascetic of its own, and that to best of my ability it would be constructed from the ground up. Most of the ‘guitar’ elements are exhumed from a cheap Strat copy from the local Cash Convertors, the main body is a 1.4M long piece of Oak which the very kind Alan from Custom Frames supplied and routed to my design. The project has come together far quicker than I imagined it would and bar some minor cosmetic intervention its working. Below you can see a gallery of the development process. The creative applications for this elaborated plank are slowly coming together. I’m hopeful that I can acquire more analogue sound effect devices but that wanders into a whole new world of practical dilemmas. I’ve had one small experiment with the machine which whilst casual and unplanned, I found exciting to produce. The drone element of this is a single unedited production. the sound artefacts that are added are to colour in the narrative (a non specific walking story). This is #TDM 01. I hope you join me for the further adventures in drone, coming to this page soon.